The Rock Face marble with a unique finish is to be used with imagination and confidence, having the power to induce a pleasant sea breeze. The Rock Face Akron polygonal marble is a perfect example! The marble is a natural stone that provides one of the perfect solutions for claddings in a soft rustic Mediterranean style in shades of grey and brown. 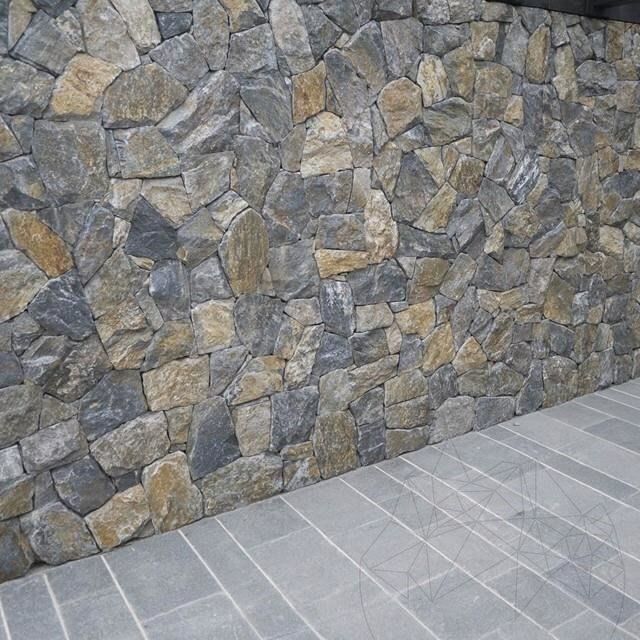 The rock face finish adds value to any project or rather to every wall of the house and garden. 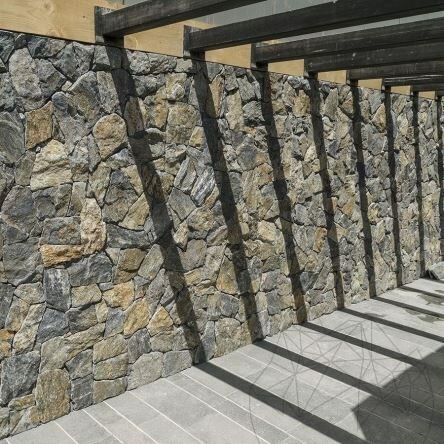 This marble is excellent for facades, interior walls or fences. Due to its medium color variations, the resulting appearance is compact. The Rock Face Akron polygonal marble is not only robust, aesthetic and functional, but also highly freeze-thaw resistant. In terms of costs, this product offered by Piatraonline is extremely attractive through its quality/price ratio. The Rock Face Akron polygonal marble owes its unique appearance to a strict boulder selection process, boulders which are then scalped and carved in order to make this 'Rock Face' product easy to mount. This Greek marble has a grey to rusty looking color with natural rock appearance. In this sense you might be tempted to think of a rustic Mediterranean style. The recommended adhesive is Weber Marmo.Plus. We also recommend treating the marble with sealants to extend the product's durability and preserve its natural look for long time. Good morning! Please give me some advice on how to install this stone at the same level, how do I calibrate it? Since there are variable thicknesses, they can be calibrated from the adhesive. Do I have to install it with joints? 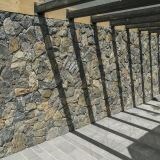 It can be installed with or without joints, depending on the stone and the project. 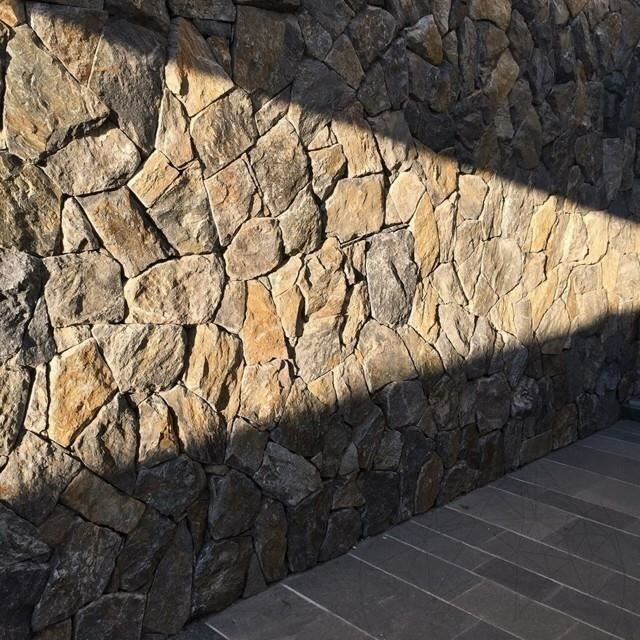 The sealer with “just washed” look can be used on the exterior over natural stone? Is it possible to install Akron Marble on the base of your house? 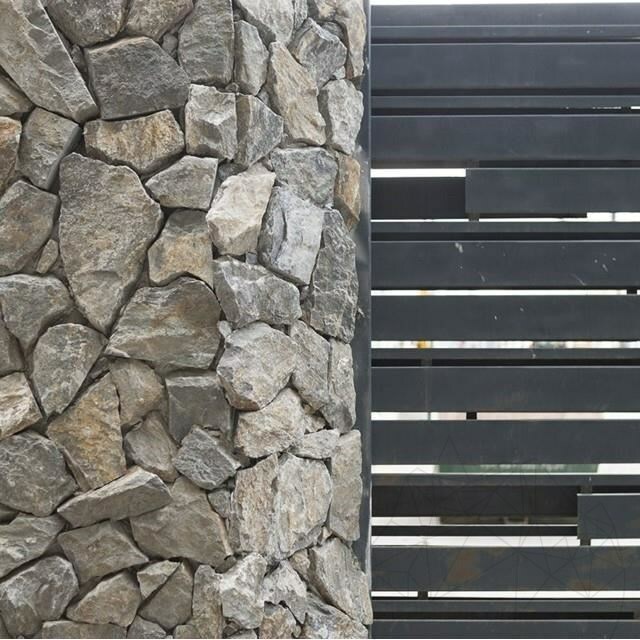 Yes, this is possible, because Rock Face finish looks best on large surfaces.